Stacy Mangold grew up in Sidney, MT and graduated high school in 1995. She then attended Dickinson State University and graduated with a bachelor's degree in business administration in 1998. Stacy married Mike Mangold from Big Sandy, MT in December of 1998. Stacy and Mike moved to Lewistown in the fall of 1999 and have two children, Macy and Tate. 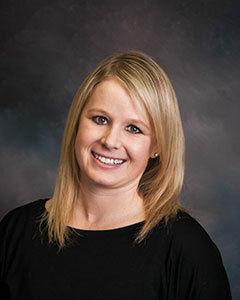 Stacy joined Lewistown Insurance in 2007 and brings many years of insurance experience to our staff. She currently works in the commercial lines department.